I would like to show you new images of other concept art. 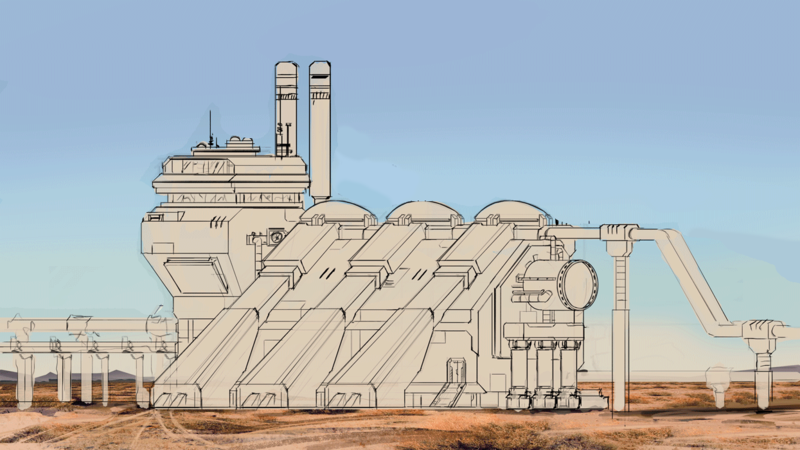 This is a sketch of the Foundry Building, the idea of this building is to have the furnace, robotic arms and conveyor belts, in order to get the ore and transform it to ingots. It is only a sketch maybe it will suffer changes in the future. 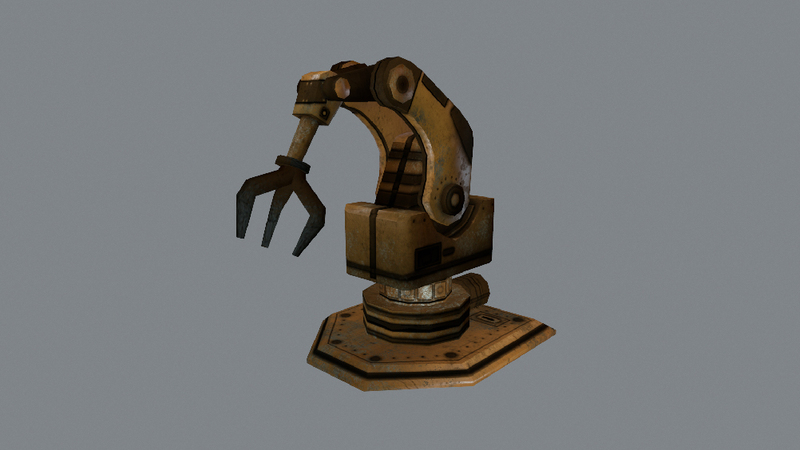 Now a Robotic Arm Model Texturized, this model will be the industrial robotic arm model that is focused on exterior environments and industrial process. Other Robotic Arm Model High poly WIP (work in progress), this model will be the robotic arm model that is focused on interior environments and industrial process related to delicate pieces. The new song, this song is going to start to sound when the player are in dark places or when start the night on the planet map. please share the game with your friends!!! ← Farlight Explorers Greenlit ! !